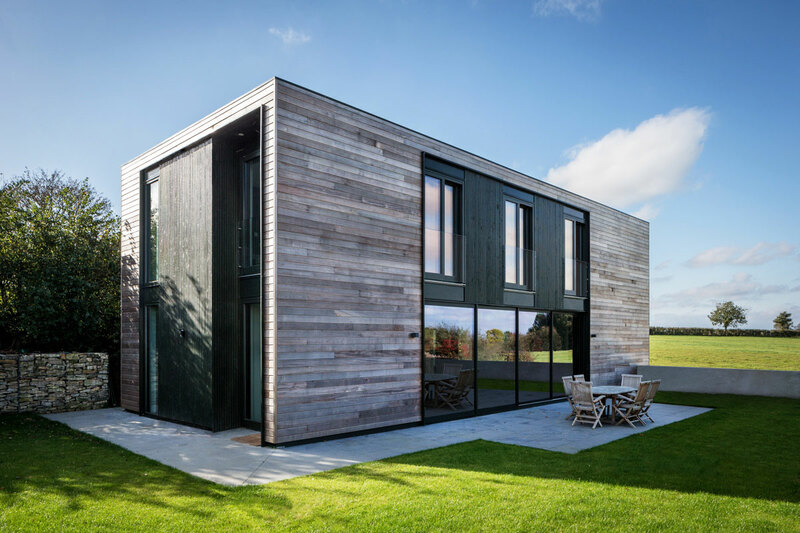 A self-build house in the countryside near Oxford, completed 2014. 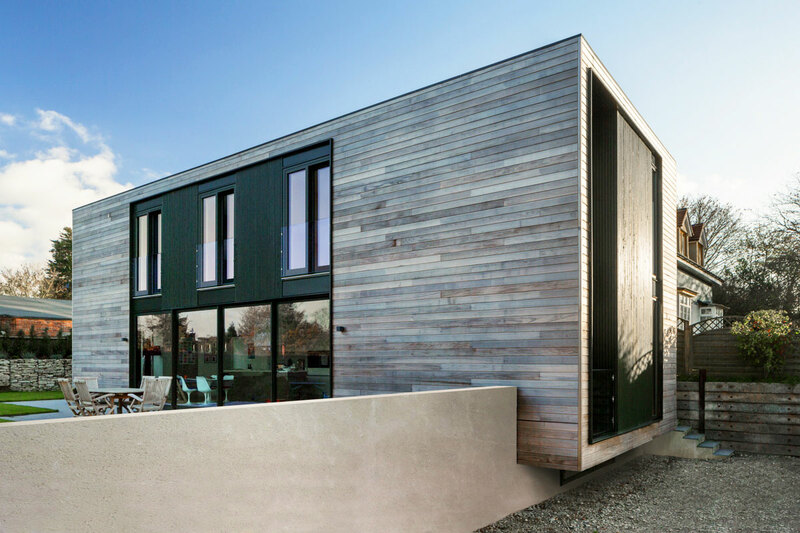 The budget was tight so the house is really simple: a clean cuboid form with no frills, assembled from a flat pack of structural insulated timber panels. 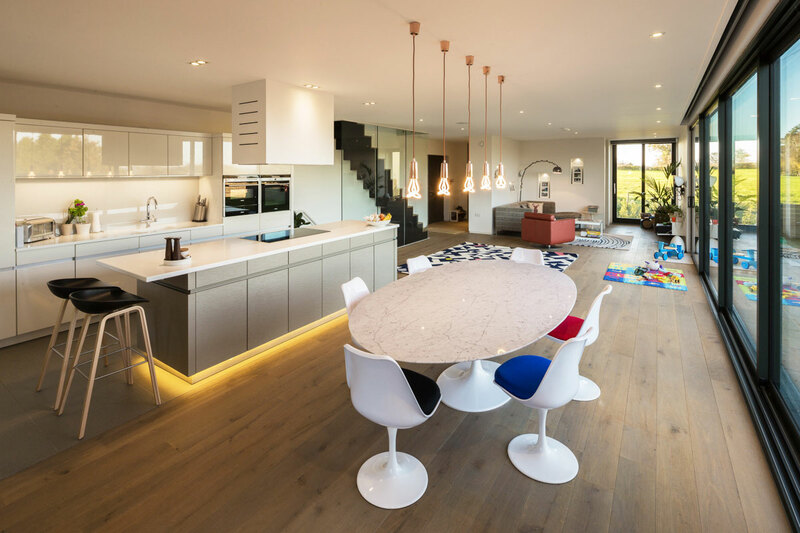 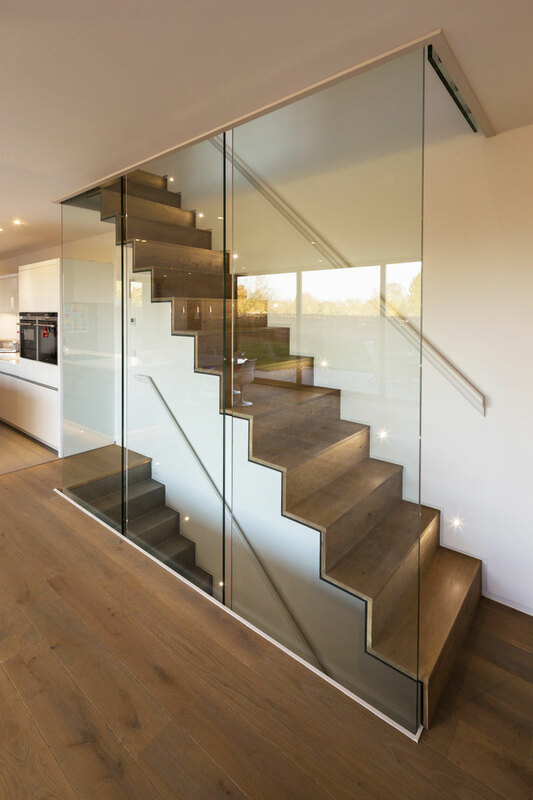 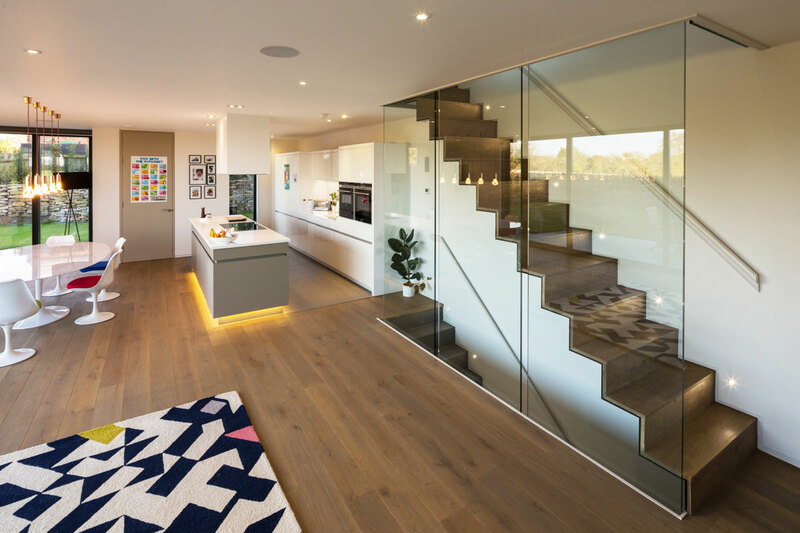 The drama is focused in three areas which give the house its lift: the cantilever at the front so the house hangs out, the huge opening onto the garden (which did require a big steel in the timber frame) and the delicate folded plate stair whose lightness adds finesse to the open plan interior. 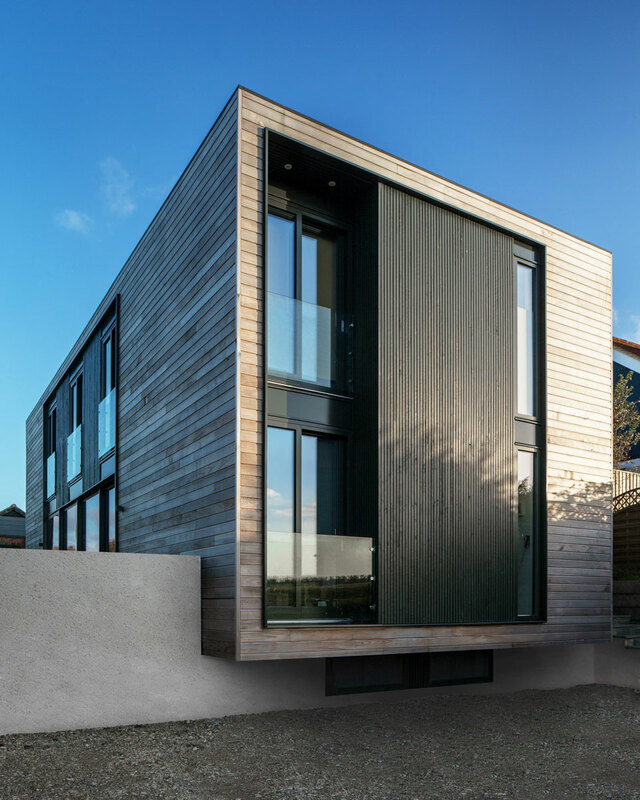 This house shows how a challenging budget can be turned into an opportunity: the necessary simplicity makes for purity and clarity. 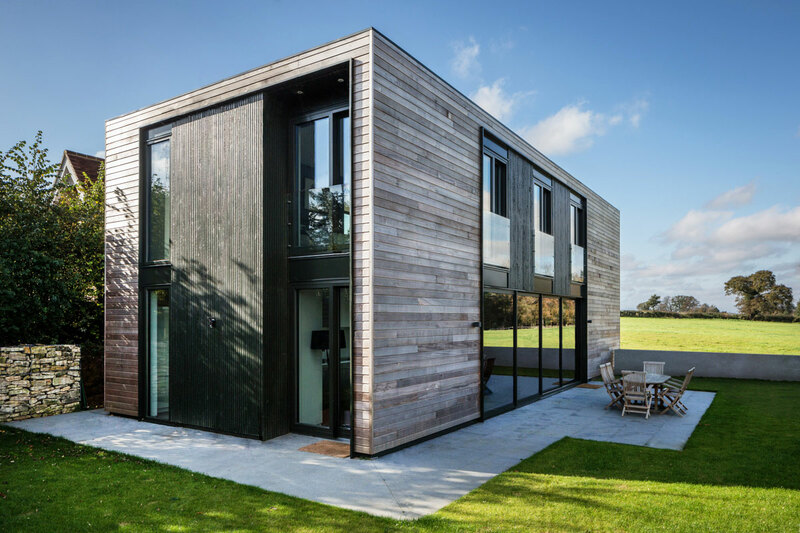 THE BEST HOUSE IN THE UK up to 2,500 sq.ft.